But the take-home point here today is that I found yet another activity I can justifiably accomplish while still wearing yoga pants. Although, to be completely honest, I was wearing yoga capris, because I was actually kind of worried that things would get out of hand and the slightly more relaxed nature of the full yoga pants would spell instant doom or maybe just chaos. I mean, yoga pants are for training to do cool stuff and sleeping and cookie decorating... but sometimes you just mean business, you know? And those are the times when you've just got to step up and put on those yoga capris and be all responsible and dependable and not at all a scary and reckless chainsaw wielder. Don't worry though... I put those pants right back on before I made these cookies. Cutting down 3 or 67 trees was plenty of time in my dependable pants. I think that things just got weird. Let's stop talking about pants. 1. 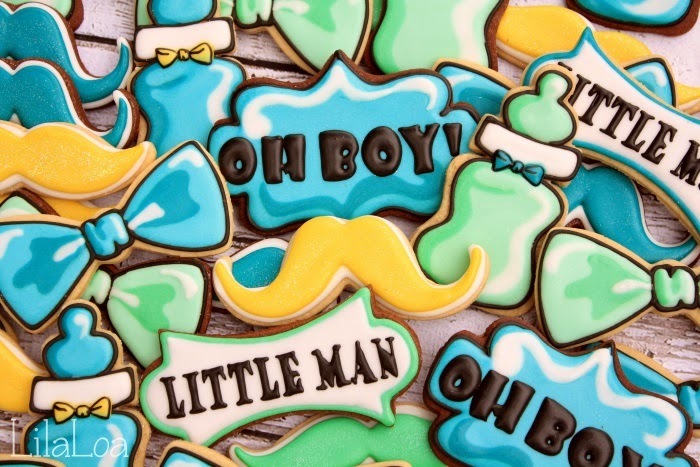 These cookies are pretty much all wet-on-wet. So they're going to need a solid outline. Use a #2.5 tip and thick black icing to outline the bow tie. Let it dry for 20 minutes. 2. The next 3 steps happen all at once. 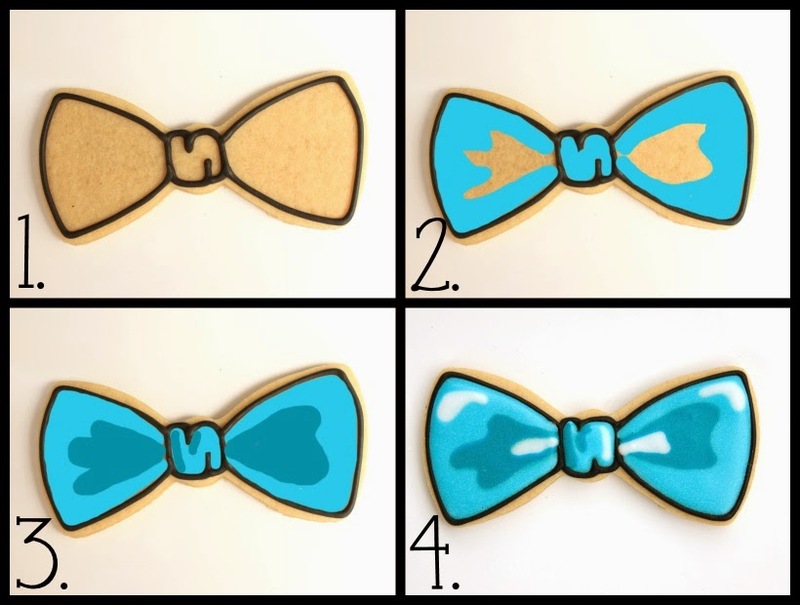 Flood around the outside edges of the bow tie with light blue icing. Outline around where the darker blue will go and fill in the spaces in the middle. 3. 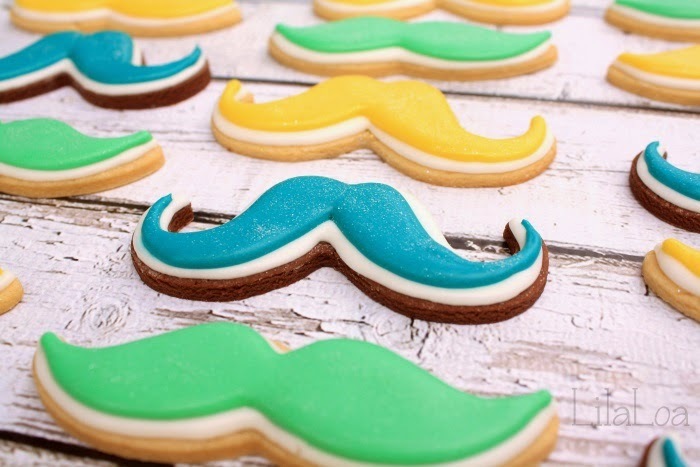 Immediately grab your darker blue icing and fill in the holes, giving it definition. Don't forget the shadow lines in the middle of the bow tie as well. 4. And then quickly pipe some high lighted areas with white icing in the same flood consistency. 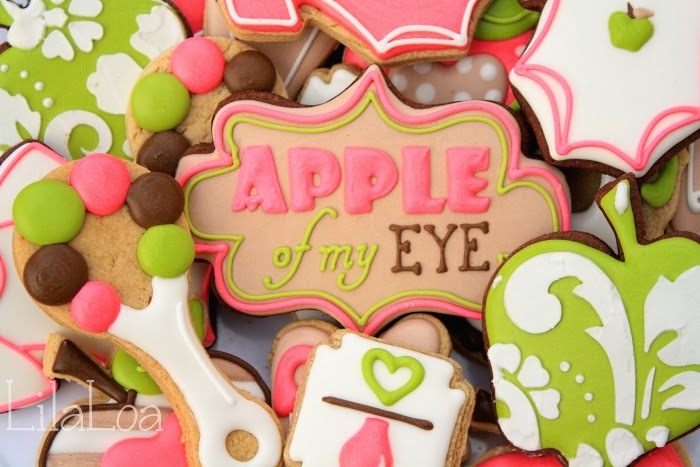 The key to this cookie is to make sure your outline in tall enough to hold all the icing you're putting inside it. If you fill in the whole bow with light blue and then try to put the dark blue on top... it's going to overflow. If you pipe the dark blue areas first and then the light blue areas... the blue shadow parts will lose their shape and definition. Unless you're a super good piper. Which I am not. Not even when I'm wearing my yoga capris. 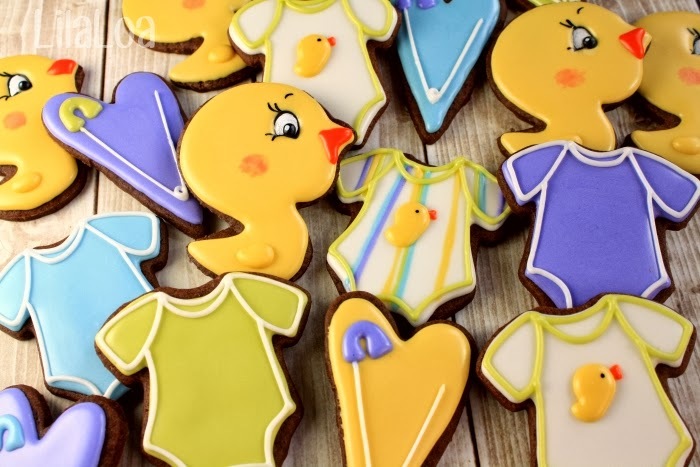 Giant headed baby ducky baby shower cookies. 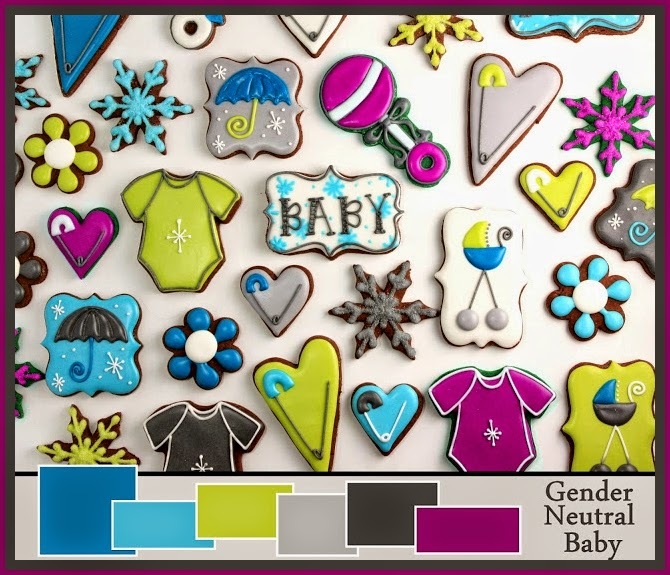 A quick and modern way to decorate the rattle cookie. 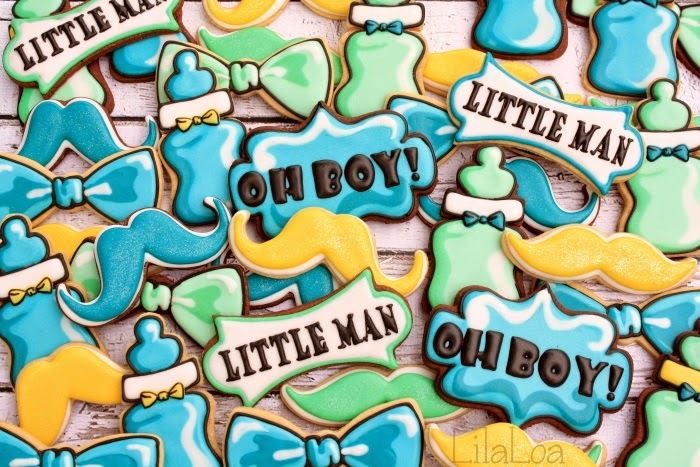 Make bow tie cookies without a cutter.